Tony Hicks, a 23-year-old point guard who brought his talents from the US to Britain in the Summer. The former Penn and Louisville ball handler signed for the Surrey Scorchers in the off-season after a summer of training and preparing for life overseas as a professional athlete. So far for Surrey Hicks has averaged 16 points per game, along with 5 assists, 1.6 steals through his first 15 games. As we move towards the mid-point in the BBL season, Hicks has opened up about life in the ever-growing British league. “I think the BBL is a good league.” Hicks said. The Chicago-native left what he knew in the States, and is not the first of many Americans to pack their bags and come to Europe to pursue professional sports careers. Despite what most people would find a hard transition, he has not found being far from home a problem. 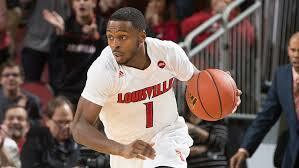 Tony Hicks spent four years at Penn University and graduated before a post-graduate year with Louisville. In terms of basketball, the Scorchers are sitting in the 7th place in the BBL standings. Some of their best wins have come against Sheffield on the opening day, a dismantling of Manchester at Surrey Sports Park, but Hicks has his own personal favorites from the season so far. Moving forward he has a clear mindset heading into the new year, and the team know exactly what they need to work on. Hicks played with NBA starlet Donovan Mitchell at Louisville last season. Mitchell’s start has turned heads throughout the basketball community, but not Hicks. He always knew what to expect.